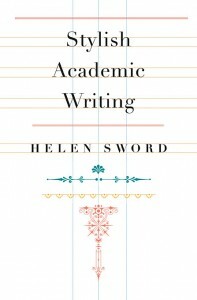 Professor Helen Sword (The University of Auckland) is the author of the hugely popular Stylish Academic Writing. Below is an excerpt from her book which offers her top 10 tips on titles. 1. What first impression do you want to make on your chosen audience? Remember, your title announces your intention to be serious, humorous, detailed, expansive, technical, or accessible—possibly several of those things at once. Double-check that your title matches your intention. 2. Take a look at the publication list on your curriculum vitae. How many of your past titles contain colons? In each case, can you clearly articulate your reason for needing both a title and a subtitle? 3. If you use colons frequently, try crafting a colon-free title. As an extra challenge, see if you can come up with a colon-free title that is both engaging and informative. 4. If you seldom or never use colons, or if your titles are informative but not engaging, try out the “catchy: descriptive” trick. First, formulate a snappy but appropriate title (for example, “Snakes on a Plane”) to go with your not-so-snappy descriptive subtitle (“Aggressive Serpentine Behavior in a Restrictive Aeronautical Environment”). 5. Next, ask yourself whether your title would still make sense without the subtitle. In some situations – for instance, a disciplinary conference or a special issue of a journal, where the context may supply all the extra information that is needed – you might find you can get away with just “Snakes on a Plane” after all. 6. Identify some typical titles in your discipline and analyze their grammatical structure: for example, “The Development of Efficacy in Teams: A Multilevel and Longitudinal Perspective” becomes “The Abstract Noun of Abstract Noun in Plural Collective Noun: An Adjective and Adjective Abstract Noun.” Now see if you can come up with a title that does not use those predictable structures. 7. For inspiration, find an engaging title from a discipline other than your own and mimic its structure. No one in your discipline need ever know. 8. Make sure your title contains no more than one or two abstract or collective nouns. 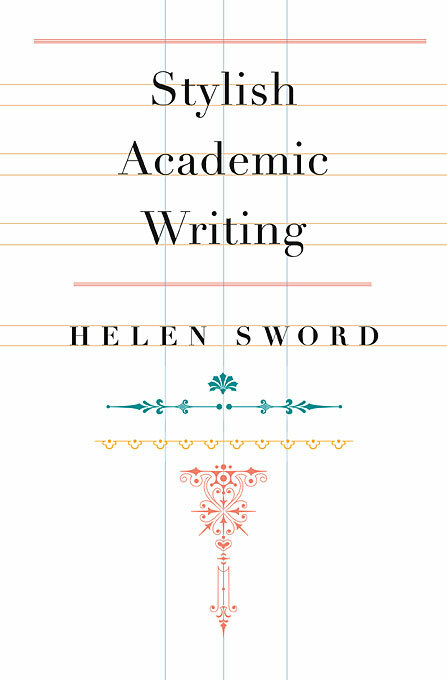 (Many academic titles contain seven, eight, or more!) Abstract nouns (analysis, structure, development, education) and collective nouns (students, teachers, patients, subjects) have a generic, lulling quality, particularly when they occur in journals where the same noun is used frequently, as in a criminology journal where most of the titles contain the nouns crime and criminology. 9. Avoid predictable “academic verbs”, especially in participle form: for example, preparing, promoting, enforcing (law); engaging, applying, improving (higher education); rethinking, reopening, overcoming (history); predicting, relating, linking (evolutionary biology). 10. Include one or two words that you would not expect to find in any other title in the same journal. Concrete nouns (piano, guppy, path) and vivid verbs (ban, mutilate, gestate) are particularly effective. Proper nouns (Wagner, London, Phasianus colchicus) can also help individualize your title and ground your research in a specific time and place.